The President of the UK Supreme Court has visited Belfast, where she discussed children’s rights. Lady Hale talked about the criticism levelled at the UK Government’s record on supporting disabled children, the Belfast Telegraph reports. She was visiting the city as a guest of the Children’s Law Centre and delivered a lecture held in Belfast’s Royal Courts of Justice. The judge said that numerous children’s cases were going through the courts as plaintiffs sought redress for having suffered various difficulties, among them accessing public services – problems which were “often brought about by the severe pressure on funding for local Government”. She explained that disabled children face a range of problems, including in the areas of medical care, education and welfare allowance. 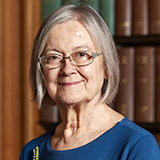 Lady Hale also cited the concerns of a United Nations committee that the Government had failed to establish a framework to deal with the poverty many of the families of children with disabilities deal with or to “adopt the human rights model of disability into public policies”.